Hamish Jolly (B.Bus, ACANZ, MAICD) is guest speaker at the December 2016 Business Owners Board meeting in Perth. Hamish is a commercial innovator and technology investor. An ocean swimmer and former kite surfer, he is the co-founder of bio and marine technology company Shark Mitigation Systems Ltd which successfully debuted on the Australian Stock Exchange (ASX: SM8) in May 2016. SM8 develops science-led technologies for the detection and deterrence of large, potentially predatory sharks and has a wider remit for the development of marine technologies. Close partners have included Google, Optus and M&C Saatchi. Hamish also co-founded bioenergy plant developer Biogass Renewables converting food waste to power at industrial scale, in addition to a current stable of emerging startup ventures. Hamish’ TED Talk on marine technology is in a curated ‘top ten’ list on TED.com, now with around 2.4 million views. He has presented on behalf of Google at Cannes Lions 2014 and was showcased among global innovators in Mazda’s Rebels program. In 2006, Hamish was awarded in the Western Australian Business News 40 Under 40 recognising the top 40 business leaders under 40 years of age. 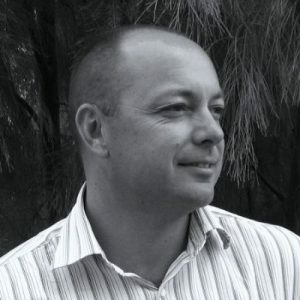 Hamish holds formal qualifications in Project Management and in Technology Innovation and Commercialisation. Formerly Director of Strategy and Ventures at BankWest, Hamish was responsible for Group strategy and mergers and acquisitions. He is a qualified Chartered Accountant and Hamish fulfils a number of Board positions including Botanic Gardens and Parks Authority Board of Management (Kings Park). Hamish most recently consulted as the Chief Executive Officer of Greening Australia, Australia’s largest environmental not-for-profit organisation and formerly a Director of Ajilon where he was part of the leadership team for one of the top 3 management and technology consulting firms in Western Australia. Business Owners Board is pleased to have Hamish Jolly as one of its guest presenters. Business Owners Board (BOB) is a confidential group of business owners who form an advisory Board of up to 15 members and meet once per month, for four hours, to review the performance of their own business and assist others to develop theirs. It is restricted to the owners of the business only.